Retractable ballpoint pen with soft-grip zone and push-button clip. Slightly curved clip. Clip push-button, barrel and tip in solid white. 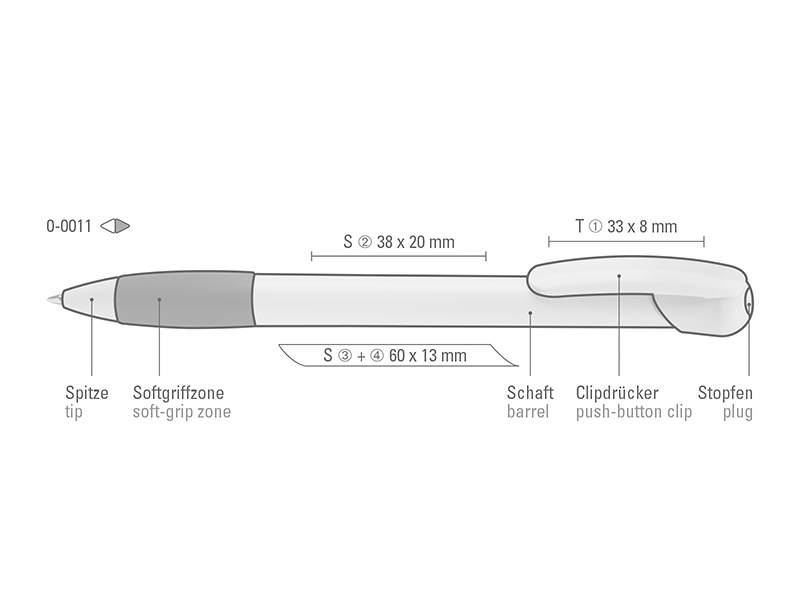 Pen terminal and padded softgrip zone in one solid color. All parts come standard in the same color with silver terminal, too.